With his 4th studio album dropping a week ago, it's quite clear that the North Carolina rapper known as J. Cole has come a long way from his mixtape days. Long gone are the days of putting out tracks upon tracks for a listen. No more having to worry about producing radio friendly songs or if the label heads would like it. Heralded as one of the best rappers of this generation along with the likes of Kendrick Lamar and Drake, however i can't help but feel that he's dropped the ball lately. While Kendrick Lamar has made two classic albums, J. Cole's latest body of work sounds like a lot like the songs that didn't make the cut for Forest Hill Drive and what you'd find on many SoundCloud rappers pages. The whole album doesn't feel polished and is populated with songs that are usually remain unreleased. It seems to be he has succumbed to hubris of the success of Forest Hill Drive, you know the album that went two times platinum without any features, which probably has him thinking his fans don't care about how terrible his album is as long as it has his name on it (Kinda like when MIMS said "i could sell a million saying nothing on the track") . On 4 Your Eyez has J. Cole going a similar route again with no features even his Dreamville label mates fail to feature on this album yet again. The album is mostly self-produced and it shows with the mediocre beats which wouldn't please any ears. As a body of work, "4 Your Eyez Only" is below mediocre. It suffers from the same shortcomings as "Forest Hill Drive". The album has got no entertainment value whatsoever and isone of those albums that one plays for a few days before forgetting that it exists. I think it's high time someone calls out Jermaine Cole on his mediocre albums. J. Cole and music fans in general deserve a lot better than someone rapping about wanting to fold clothes. Ray of Light: Changes is probably the only song on the album that's worth a second listen. 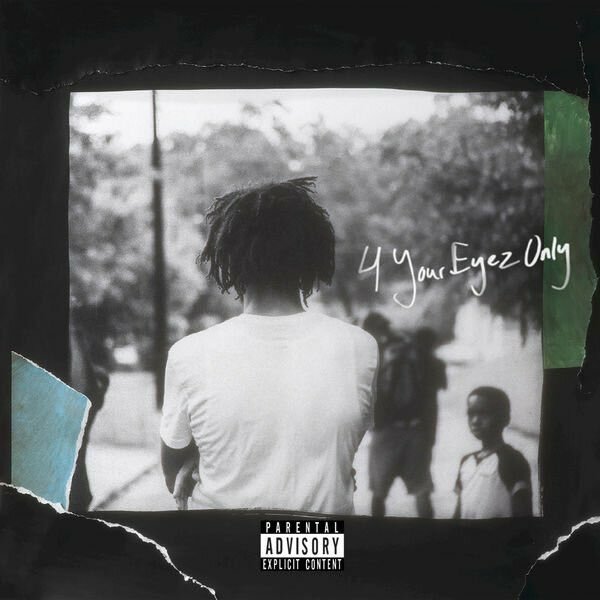 On the side note, "4 Your Eyez Only" has projected to sell 530K+ units in the first week. While these numbers are amazing however it isn't an indication of how good the album is but rather as a result of clever marketing. J. Cole folllows the well-worn strategy of inciting a little bit of controversy before his album release (Calling out Kanye, Wale, Lil Yatchy, Lil Uzi in "False Prophets and Everybody gon die") used by 50 Cent to great success. And also selling the album as a bundle instead of as singles as is industry standard.